Kohler, WI—At nearly 90 years young Pete Dye continues to be a contributor to the golf scene with his devilish course designs—most notably at the major championship level. The World Golf Hall of Fame member has been designing courses since 1962 and his list of accomplishment in golf course architecture is truly mind boggling with the likes of Crooked Stick, Harbour Town, TPC / Sawgrass, The Ocean Course at Kiawah, The Honors Club, along with his multi-course contribution at Whistling Straits and the related courses at nearby Blackwolf Run, to name just a few. Dye brought forward a compelling design counterpoint to the muscular larger-than-life designs being pushed at that time by the likes of renown architect Robert Trent Jones. After having visited Scotland in 1963, Dye incorporated a modern fresh perspective of the Scottish use of pot bunkers, bulkheads constructed of wood, and small greens which emphasized superior approach play. Dye has always freely admitted that bringing forward a counterpoint to what Jones and others were doing was necessary—both from an artistic standpoint but also from a practical business approach given the tremendous success Jones had achieved over many years. Dye, in partnership with his highly respected wife Alice who has always assisted him from a creative standpoint, have been successful in bringing forward a midwestern frankness in the golf projects they collectively have produced. For Pete, the essence of the job is to get into the dirt: walking the terrain and envisioning the possibilities. This week’s PGA Championship at The Straits Course will shine a spotlight on one of the game’s most revered and successful golf architects. 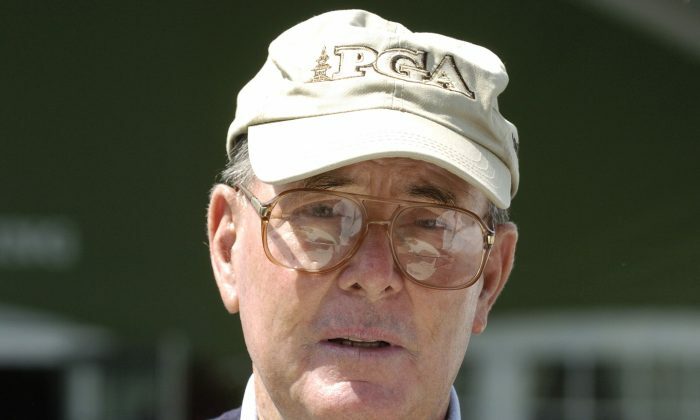 Without question, Pete Dye changed the discussion on what constitutes quality golf course design. His impact is now being carried forward by a range of talented protégés who believe golf’s best courses are those embodying the classic elements favored by the game’s earliest pioneers. Q: Was Whistling Straits designed with the thought of hosting a PGA Championship or other major championship? Q: How did you and Herb Kohler meet? A: I was working in Oklahoma City at Oak Tree CC. Herb flew down and walked around the course. Next thing I knew I was in Sheboygan, walking the land where the original 36 holes are today. Later on, I designed Whistling Straits. Q: As the course architect, do you have any input on suggested pin placements during the 4-day tournament? A: The PGA sets everything up, including taking weather into account when deciding on pin placements. Q: How do you go about designing a course? A: I never draw up plans. I go out and try to make everything different. The 13th and 14th holes should never look the same as my other courses. You try to change it and make it different. Q: How has the course at Whistling Straits changed since the 2010 PGA Championship? A: It’s no longer or shorter, but like all courses has settled a bit in 5 years. Still 1,000 bunkers but most are out of play. Q: Are you planning to attend the PGA Championship at Kohler? A: I will be there Monday-Friday. It’s tough; I’d like to be inconspicuous and walk the course, but everyone knows me. Q: You and Herb Kohler have a unique working relationship, don’t you? A: I never listen to him. When we first met, he didn’t play much, just once or twice a year. Now he can play a little bit. Q: Is there a signature hole at Whistling Straits? Q: Firm and fast greens have been the case at recent golf majors. Will that be true at Whistling Straits? A: The Stimpmeter always shows fast greens for a championship. It might be up to 12. If you know that, you try to regulate that to make it work. We made subtle changes to mounds on the greens, but only a few inches here or there. Q: Dustin Johnson famously found one of those 1,000 bunkers at the 2010 PGA Championship. What do you recall about that? A: The bunkers in the mounds on the course usually don’t come into play. Dustin got into one of those mounds and grounded the club; that cost him the two-shot penalty. Q: How does Whistling Straits compare today to when you designed it? A: It gets shorter all the time from what the good players are able to do. Gets shorter all the time. If they shoot, 64, 65 or 67, I’m not going to lose sleep. They’re hitting it 40-50 yards farther off the tee. I could make the course 8,000 yards long and they will still find a way to shoot low scores. Q: I’m watching the tournament from home. What should I do to enjoy the tournament more? A: The finishing holes—#16, #17 and #18—that’s where it all changes. Those three will change the outcome of the tournament. Q: Do the comments professional players make after playing the course affect you at all? A: I don’t listen to them. A guy that plays real good is positive, the guy that plays bad is negative and the next day it changes. Q: Herb Kohler brought sheep from Scotland to walk Whistling Straits. What happens to the sheep during the PGA Championship? A: They usually are roaming the course, but I hope they are locked up for the championship. Q: What is on the drawing board for the Dyes right now? A: I have 13 jobs going now—both under construction and just completed construction. I’m so far behind and overbooked, I’m not sure what I am doing. Q: What is the biggest change you have seen in golf during your career? A: In just the past 15-20 years, golf has totally changed because of the equipment: clubs, shafts and balls. Swing speed is no different, but now a 410-yard hole is a 300-yard tee shot and a wedge to the green. What was a 460-yard hole, now needs to be 530 yards, and is still drive + 5-iron to the green.